Are you planning your China trip? If you are looking for a one-stop service and an authentic experience, we are a good choice. We are local Chinese travel experts — we only do China, and do it well. We know which sections of the Great Wall are best for exploring by which travelers, the hidden routes to explore the Forbidden City while avoiding the crowds, and the most authentic Peking duck that the locals favor. Unlike the foreign travel agencies who just resell tours, we create unique China experience. 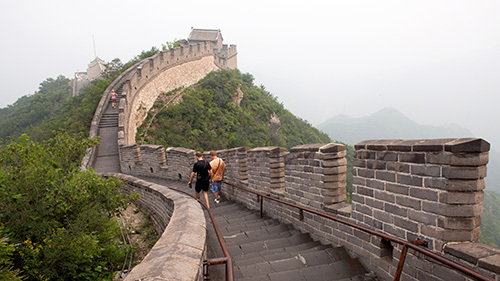 Get inspired with our best China tour itineraries! Our sample tours provide some idea of what it is like to travel with us, but you are the key element in our tours. They are typically private with no strangers to standardize for. So, we can tailor-make our tours for each client, with flexible itineraries and arrangements. Don’t like museums? Wish to add one more day in relaxing Guilin? We are glad to work with you to create your own ideal China travel experience. . This is a private tour that takes you through China&apos;s ancient glory to its ambitious modernity, and through China&apos;s spectacular landscapes. Get to know China in 11 days! This is our most popular itinerary for a first China trip. Our time-smart schedule will allow you to discover the three major tourist cities of China at a relaxed pace. The historical heritage sites, natural scenery, and adorable giant pandas, making an ideal tour for first-time visitors who are panda fans or those traveling with children. Below are the best 5 places to visit for your first, or second, tour to China. We can customize a unique tour for you to include any of these places or anywhere else in China you are interested in. #1 Beijing — Beijing, China&apos;s capital city for over 700 years, is a vibrant blend of historic and progressive grandeur. #2 Xi&apos;an — Xi&apos;an is to China as Rome is to Europe. Discover ancient Chinese civilization at the Terracotta Army and in the ancient city. #3 Shanghai — Shanghai is China’s New York. It offers the best view of modern China. The impressive skyline and bustling economy show you the forefront of China&apos;s development. 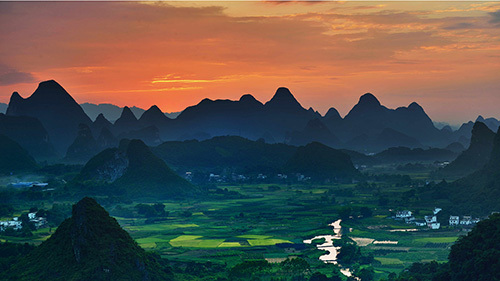 #4 Guilin — Guilin’s is famous for its relaxing picturesque countryside. Its limestone landscapes are the Chinese image of scenic beauty. #5 Chengdu — You should not miss Chengdu’s pandas, especially if you are traveling with children. Find more inspiration from the Top 10 China Travel Destinations. Generally speaking, China&apos;s cultural and historical attractions are good for visiting all year around. Weather-wise, the best times to visit China are spring (April–May) and autumn (September–October). Our tour schedules are flexible. Hate the idea of climbing the Great Wall on a rainy day? Visit the Forbidden City instead, and see the Great Wall on a clearer day. Who would want to travel half the world only to spend 20 rushed minutes on the Great Wall? We suggest you take at least 8 days for your China trip to see a spectrum of the highlights well, instead of only scratching the surface. To discover more of China, like its magical natural landscapes, you will need a few more days. The most popular China gateway cities are Beijing, Shanghai, and Hong Kong, with huge international airports and plentiful attractions. Foreign citizens will normally need a visa to visit China. We recommend you apply for your China visa one or two months before your travel date. Applying for a visa with the help of a visa company may save you a lot of hassle. See China visa requirement for your China tours in 2019 with China Highlights.